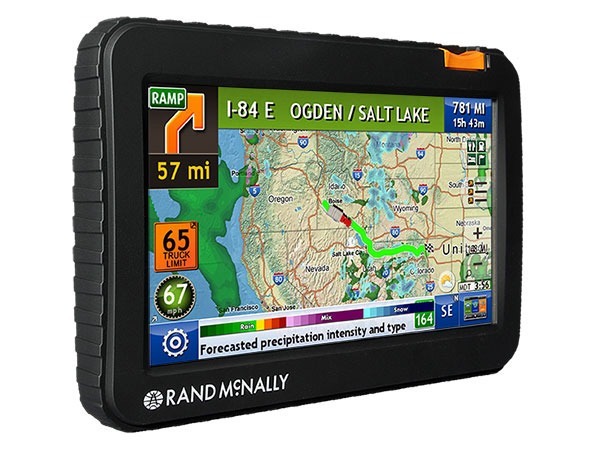 The IntelliRoute TND 720 from Rand McNally features Wi-Fi connectivity and dynamic weather updates displayed on the map. Built from the ground up for professional drivers, the TND 720 incorporates hours of testing by truck drivers and was designed to help truckers in each phase of their work day, from planning to driving. With 35% more truck routing information than other GPS units, the device leverages Rand McNally proprietary truck data and know-how derived from over 70 years in the commercial transportation industry.